Download "Houses in Multiple Occupation"
7 examples include: When a loft space is converted to one or more self-contained flats and the remainder of the property remains an HMO; or The conversion of one or more bedrooms in upper floors of a building into self-contained units and the remainder of the building continue to be non self-contained units of accommodation. In the above instances the Building Regulations apply additional safety standards to protect the occupants of the self-contained units. 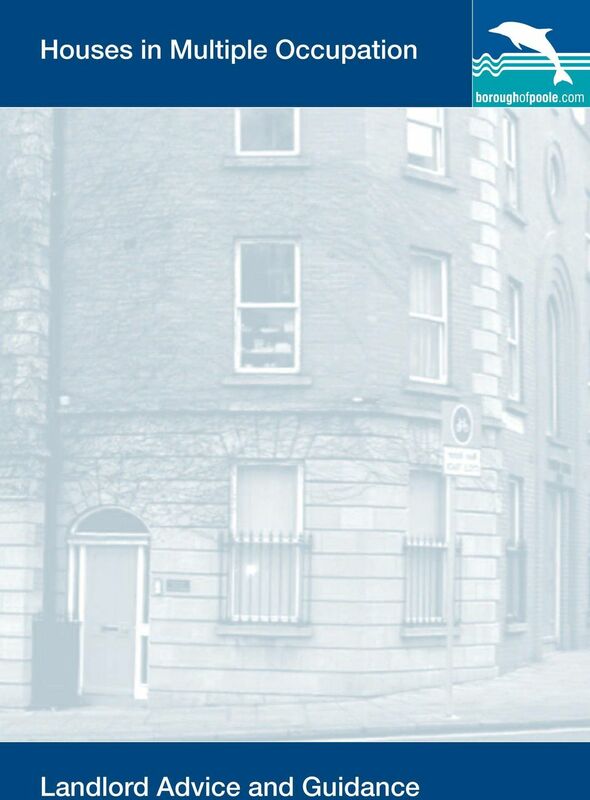 These can be seen as being particularly onerous where the building is served by a single access and escape stairway. 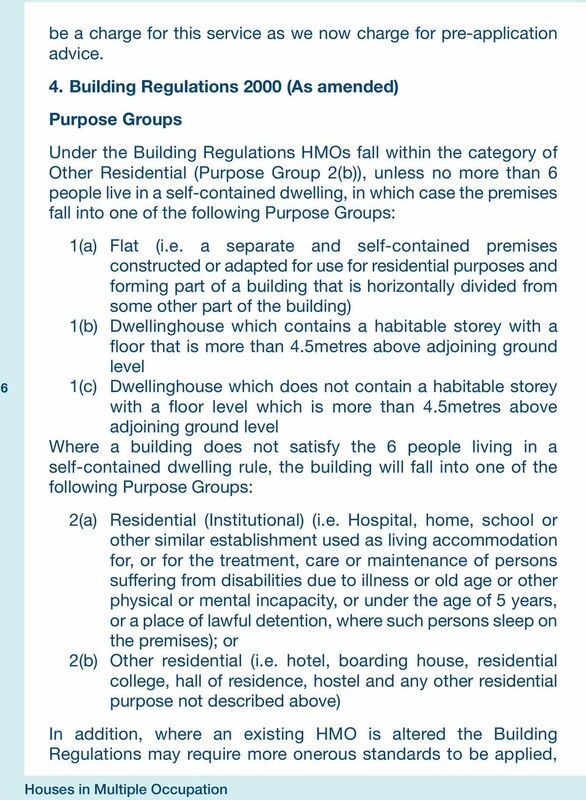 Under these circumstances all units of accommodation need to be separated from the stairway by two fire-resisting doors and the stairway needs to incorporate a one metre square automatic opening vent. 5. 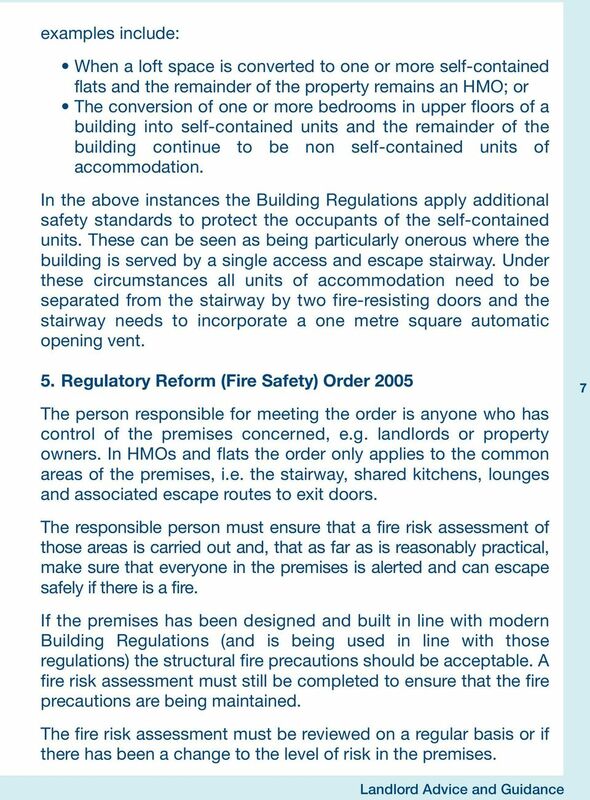 Regulatory Reform (Fire Safety) Order 2005 The person responsible for meeting the order is anyone who has control of the premises concerned, e.g. landlords or property owners. 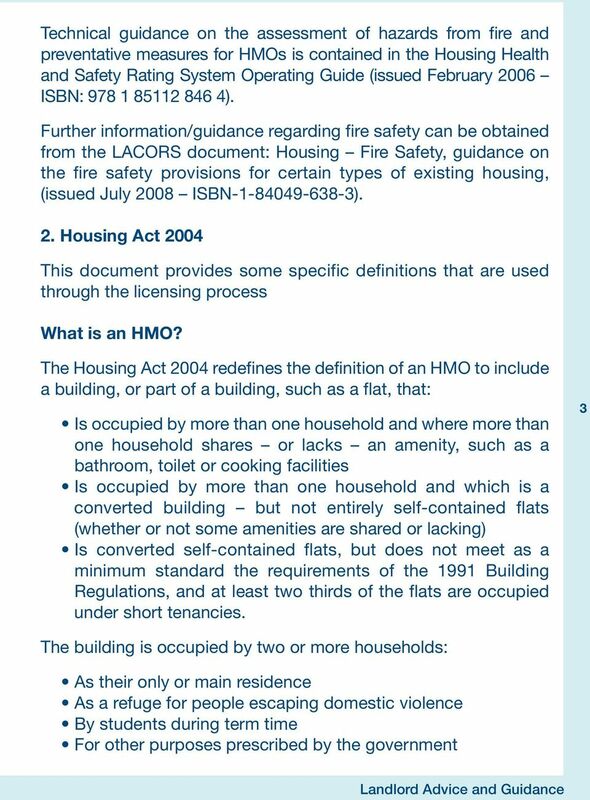 In HMOs and flats the order only applies to the common areas of the premises, i.e. the stairway, shared kitchens, lounges and associated escape routes to exit doors. 7 The responsible person must ensure that a fire risk assessment of those areas is carried out and, that as far as is reasonably practical, make sure that everyone in the premises is alerted and can escape safely if there is a fire. If the premises has been designed and built in line with modern Building Regulations (and is being used in line with those regulations) the structural fire precautions should be acceptable. A fire risk assessment must still be completed to ensure that the fire precautions are being maintained. The fire risk assessment must be reviewed on a regular basis or if there has been a change to the level of risk in the premises. 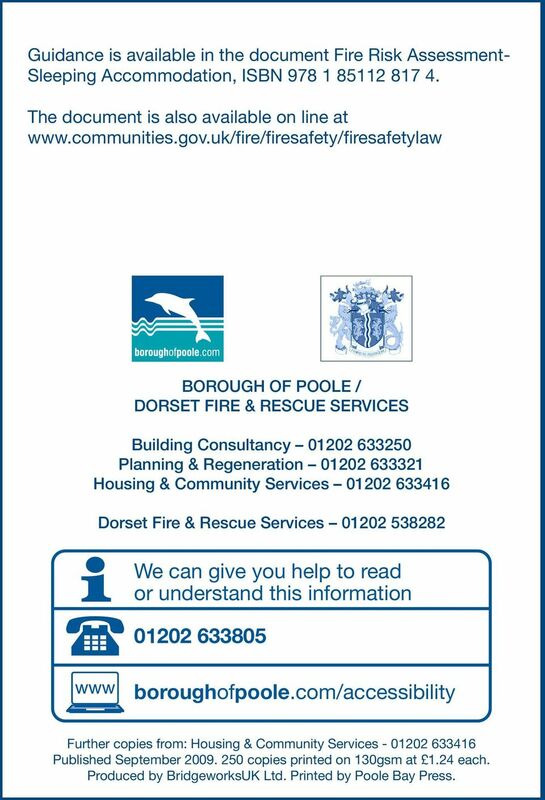 8 Guidance is available in the document Fire Risk Assessment- Sleeping Accommodation, ISBN The document is also available on line at BOROUGH OF POOLE / DORSET FIRE & RESCUE SERVICES Building Consultancy Planning & Regeneration Housing & Community Services Dorset Fire & Rescue Services We can give you help to read or understand this information boroughofpoole.com/accessibility Further copies from: Housing & Community Services Published September copies printed on 130gsm at 1.24 each. Produced by BridgeworksUK Ltd. Printed by Poole Bay Press. Houses in Multiple Occupation in the West Midlands Contents What is a HMO? 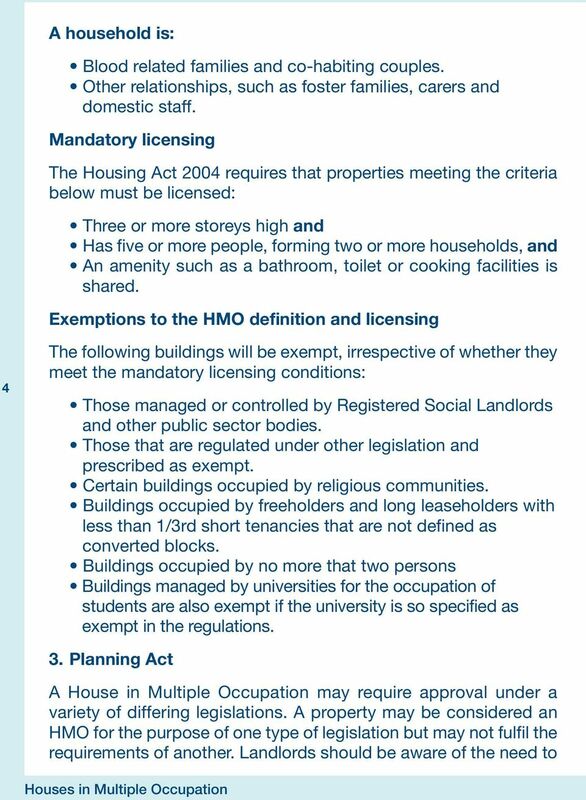 1 Why does the government want HMOs to be licensed? 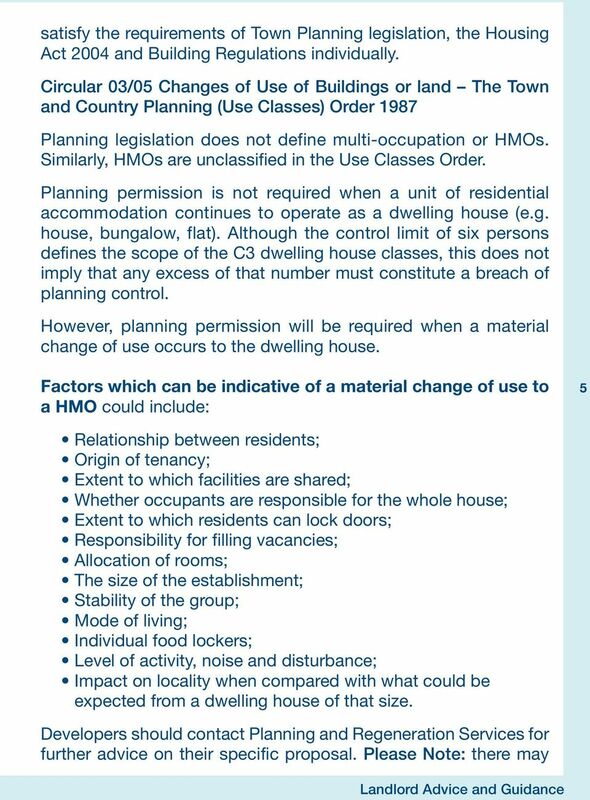 1 Do all HMOs have to be licensed? 2 How will it work? 3 What is in a licence? Planning an Attic Conversion? This leaflet provides guidance on how to achieve compliance with the Building Regulations (Northern Ireland) 2012 and subsequent amendments when carrying out an attic conversion. 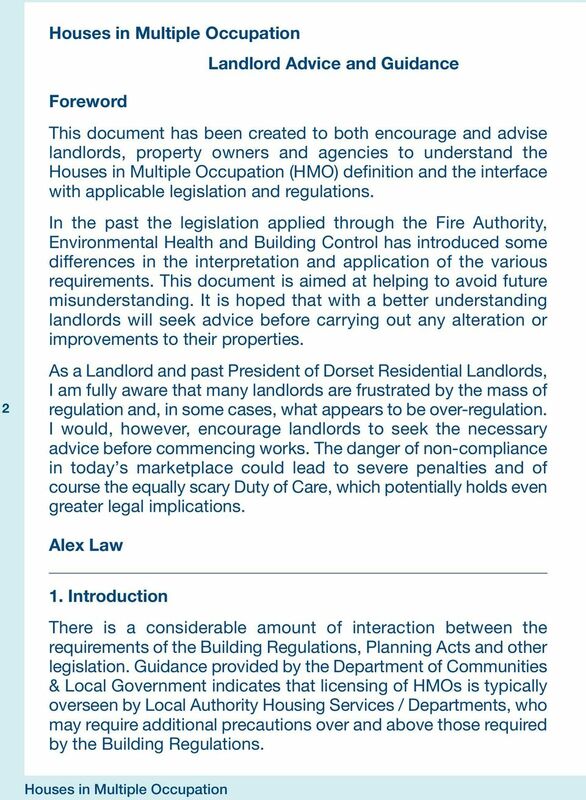 Fire safety guidance in purpose-built blocks of flats. Background to the project why a new guide? Background to the project why a new guide?